India - a Tourists paradise: Festival - What is Lohri? Why is it celebrated? 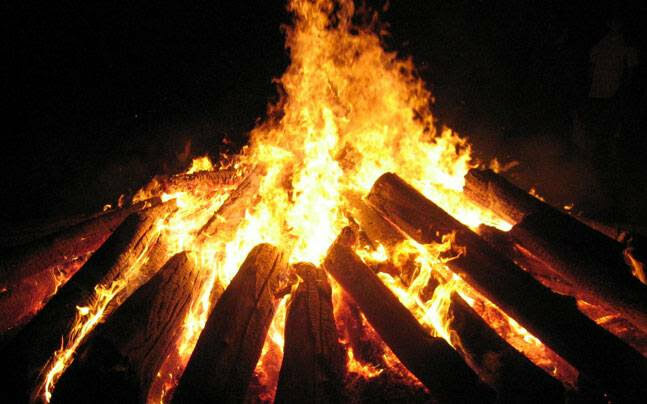 Festival - What is Lohri? Why is it celebrated? This Punjabi festival has more to it than just rewri and groundnuts going into the bonfire. To begin with, it's a festival that doesn't play guessing games with us--like our beloved Diwali or Holi, where one complicated calendar or the other decides which day the festival "falls on". By default, Lohri--a Punjabi festival--is celebrated on January 13 each year. Rewri and groundnuts, anyone?As anyone who has ever celebrated the festival in full fervour around the bonfire would tell you--gur rewri, peanuts and popcorns are the three edibles associated with this festival. Besides these, in Punjab's villages, it is a tradition to eat gajjak, sarson da saag and makki di roti on the day of Lohri. It is also traditional to eat 'til rice'--sweet rice made with jaggery (gur) and sesame seeds. The logic behind consuming these food items is--the general time to sow sugarcane is January to March, and the harvesting period is between December and March. The other important food item of Lohri is radish, which can be harvested between October and January. Punjabi folkloreIf you haven't heard Punjabi women go around the fire singing "Sunder mundriye ho! ", you clearly haven't had the chance to visit Punjab around Lohri. The folklore--Sunder Mundriye--is actually the tale of a man called Dulla Bhatti, who is said to have lived in Punjab during the reign of Mughal Emperor Akbar. Being quite the 'Robin Hood' back in the day, Dulla Bhatti used to supposedly steal from the rich, and rescue poor Punjabi girls being taken forcibly to be sold in slave markets. He then went on to arrange their marriages to boys of the village, and provided them with dowries (from the stolen money). Amongst these girls were Sundri and Mundri, who have now come to be associated with Punjab's folklore, Sunder Mundriye.